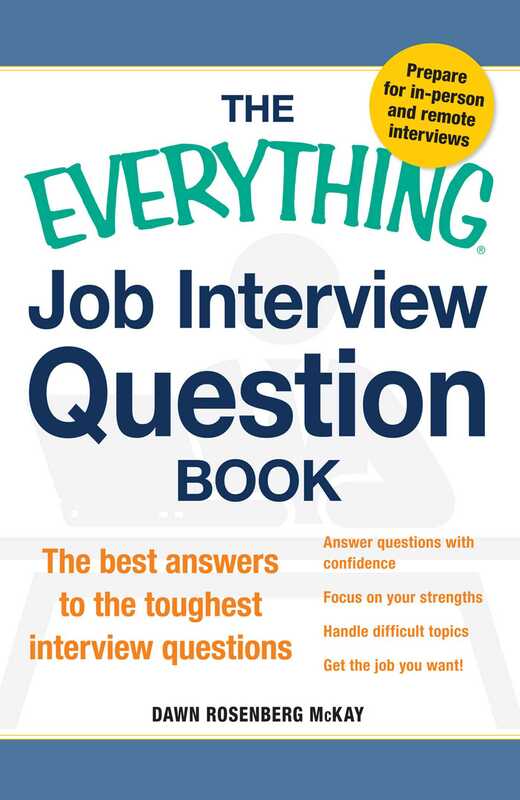 An expert guide to the answers that will get you hired! What's the surefire way to overcome the stress of a job interview and get the job you want? Be prepared! What do you think this job offers that your last job did not? How would those who worked under you describe you as a supervisor? Have you ever been in a situation where the majority disagrees with you? What did you do? What motivates you to go above and beyond the call of duty? Tell me about something you failed at. What about your current job isn't very rewarding? If I asked your current employer to tell us about your accomplishments, what do you think he would say? Based on what you know about this company, how will you contribute to it? Plus, you'll also find help with handling inappropriate questions, advice on questions to ask employers, and tips on handling remote interviews. This valuable resource provides you with expert advice on what to say--and what not to say--giving you the confidence you need to succeed and land the job of your dreams.